This entry was tagged Abuse, Advocacy, Animal Rights, Animals, Apathy, Beliefs, Cats and Dogs, Connecting the Dots, Connecting the Dots ... with The RESPECT PRINCIPLE, core belief, Economics, Empowerment, Euthanization, Fresh Perspective, Global Inititative, Healthcare, leadership, Leading by example, Lobbying, Logical Practical Compassionate, Neglect, Newsflash!, Pop Culture, Problem Solving, quality of life, Relationships, RESPECT, RESPECT ... 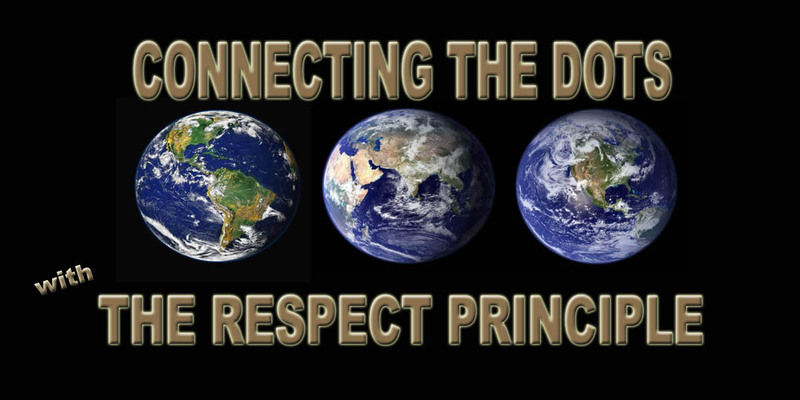 The Way Back into Love, RESPECT LEVEL, Respect simply means "to value", Social Change, Spaying/Neutering, SPCA, Statistics, The RESPECT PRINCIPLE Specialist, violence. Bookmark the permalink.